The Centennial iKnights are student technology leaders within the school. They are the go-to resource for help with troubleshooting, device set-up, and any device questions you may have! 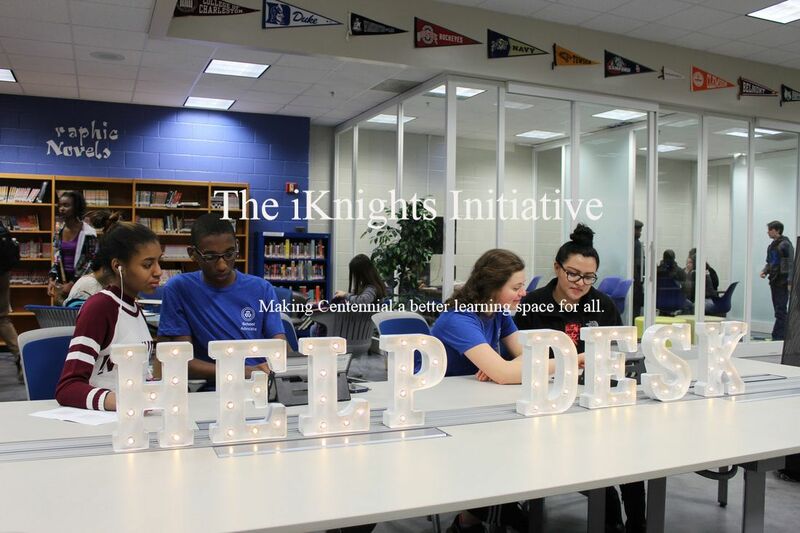 iKnights will be available at the Learning Commons Help Desk every morning from 8:00-8:15am, as well as during both 4A and 4B lunches. For help within your classroom or for department-specific questions, please visit the Contact Us page to connect with an iKnight assigned to your department.